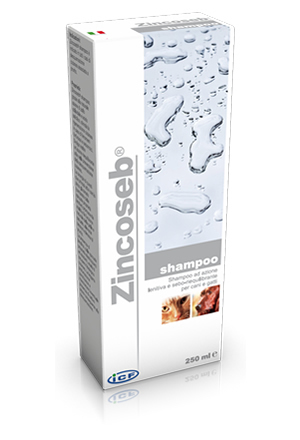 Zincoseb® shampoo, thanks to the natural action of colloidal sulphur and salicylic acid, stimulates the cutaneous regenerative action in case of seborrhoea and dandruff. It also plays a rebalancing action useful in preventing skin flaking. The sinergy between these two active substances and the zinc gluconate (substance with strong lenitive properties) promotes the vitality and function of natural skin and hair, relieves tension and soothes itching. 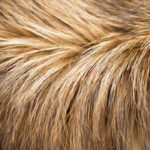 The lanolin, with strong and moisturizing properties, exalts the cuteneous regenereative action. The slight scent helps to mask the odor resulting from the skin flacking. 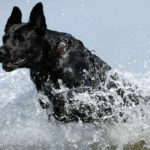 Apply the product on the skin of the animal after having dampened it with lukewarm water and massage gently. Leave the product on the skin for 6 – 8 minutes, then rinse. Repeat the treatment when necessary. Tha product can be used also for puppies.